Maharishi Veda Vision presents an historic commemorative DVD - Swarn Jayanti - Golden Jubilee of Shri guru Dev - a beautiful combination of rare video footage and animation complementing Maharishi's words in Hindi that have been put to song in melodies that swing in waves of celebration. This beautiful DVD is a tribute to Supreme Knowledge - the eternal wisdom of life that has been enshrined in the hearts and minds of the great Sages since time immemorial, and is ever lively as the light of life in this generation through the grace of the Vedic Tradition of Masters - Vedic Guru Parampara - in which Guru Dev, His Divinity Swami Brahmanada Saraswati, stands closest to us. Swarn Jayanti - Golden Jubilee of Shri Guru Dev on DVD is a special gift of knowledge and inspiration from Maharishi to everyone everywhere. The sequence of Celebrations is presented on DVD (digital video disk) because of the superior audio/visual quality this technology affords, also allowing one to navigate instantly through the chapters. Historic Commemorative DVD (PAL format) and booklet - 55 Minutes. Includes a precious 8 page brochure "Our guiding light" Maharishi speaks on Guru Dev. 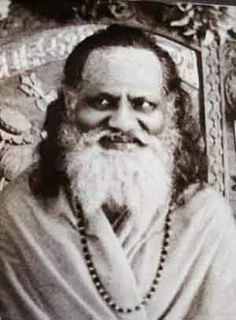 From the late 1950s, the general understanding of the nature of meditation was transformed as a result of the work of one man, Maharishi Mahesh Yogi, founder of the Transcendental Meditation programme and regarded by many as the world’s foremost authority on meditation and consciousness. While studying science at Allahabad University in Northern India, he met a great sage who had come to be regarded as the greatest living embodiment of the ancient Vedic tradition of India. 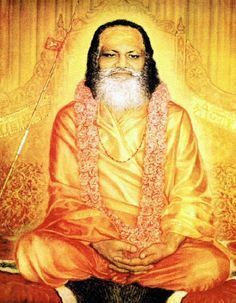 This man was known as Guru Dev, His Divinity Swami Brahmananda Saraswati. On graduation, Maharishi went to work and study with Guru Dev. After 12 years service with Guru Dev, he retired to Uttar Kashi in the Himalayas where he spent the following 2 years in solitude and silence. His message to the people of Southern India was that the nature of life is bliss; the purpose of life is the expansion of happiness; and that every human being can effortlessly unfold his or her infinite potential. In order to achieve that potential, it was necessary to meditate and, so, in 1955, Maharishi Mahesh Yogi began teaching the simple, natural technique of Transcendental Meditation throughout India. Includes a precious 8 page brochure "Our guiding light" - Maharishi speaks on Guru Dev. Profits from the sale of this DVD go to creating world peace. Note: DVDs come in a number of different formats, which are used in different parts of the world. The PAL format is used in a large portion of the world but not in the United States; the U.S. uses a different format known as NTSC.